Colorful Wedding Invitations - Create Wedding Stationery as unique as you are! Can't find Colorful Wedding Invitations to match the unique color scheme for your wedding? Don't worry, everything I design can be customised to match whatever theme you have in mind for no extra charge. There are no additional charges if you'd like to change the colors of any of my designs. 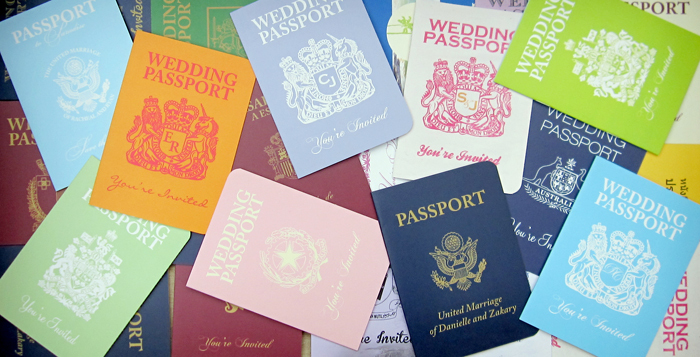 Passports, Airline Tickets, Luggage Tags, Postcards and anything else you require can all be made as colorful as you like. Below are some examples of colors I find work particularly well when printed. If you have a specific color combination in mind or would like me to match a color you're using elsewhere in your wedding or event theme just let me know. 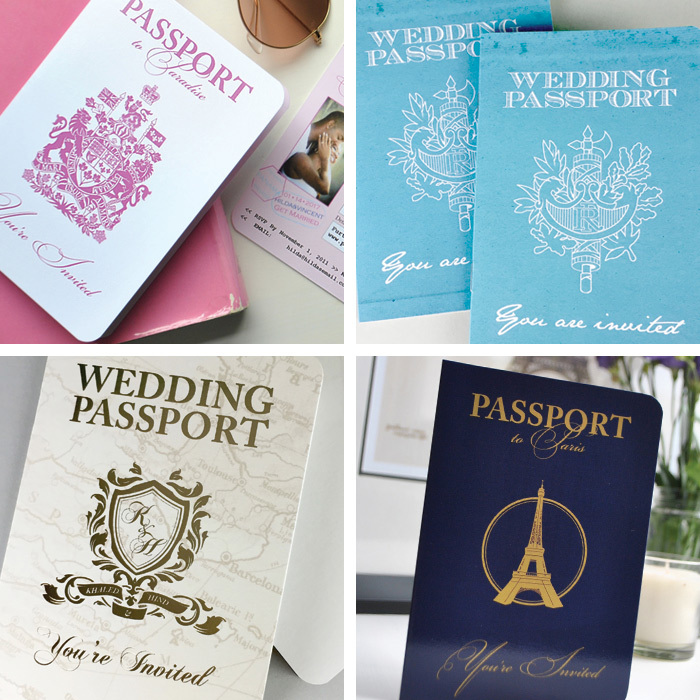 If you're choosing a Passport Invitation it's a great way of combining gorgeous color combinations for the overall background color and the crest color. Classic examples would be gold or silver but as you can see from the above examples, lots of combinations work well. Get in touch with the form below if you have any questions about Colorful Wedding Invitations, I'm happy to chat about whatever you have in mind.